The fact that such a large batch was placed is definitely an achievement. There are plenty of quality opportunities in all domains and sectors except in the FMCG sector where the names and numbers are visibly thin. Banking & Finance is relatively strong despite a tough market and Consulting is very impressive for a school that is just 15 years old. Sales & Marketing (ex-FMCG) is the strongest in terms of sheer numbers. 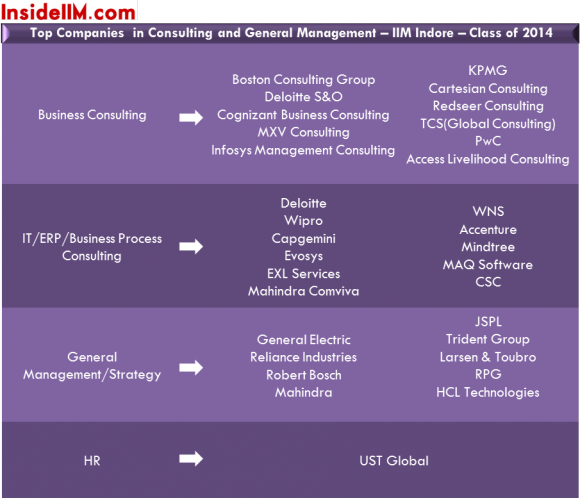 As mentioned earlier on this website, IIM I seems to do better during Final Placements than during Summer Placements. 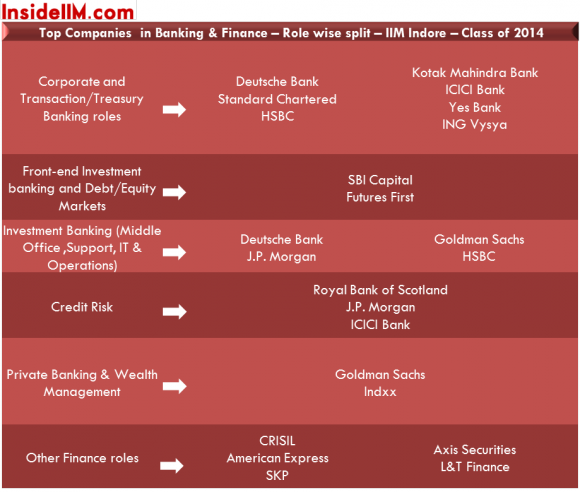 All the top MNC banks have offered their middle office I-banking and Markets roles. Corporate and Transaction Banking regulars are also there. Deutsche Bank continues to recruit in big numbers from IIM Indore and is not only the top recruiter in the Finance domain but one of the top recruiters overall. Standard Chartered, HSBC, Goldman Sachs, J.P.Morgan and the new entrant Royal Bank of Scotland make up a very strong foreign banks line-up. Bank of America Merrill Lynch is missing which has hired in 2011 and 2013. BCG hired from IIM Indore for the fourth consecutive year( However, they didn’t visit the campus and it was a batch day hiring) . 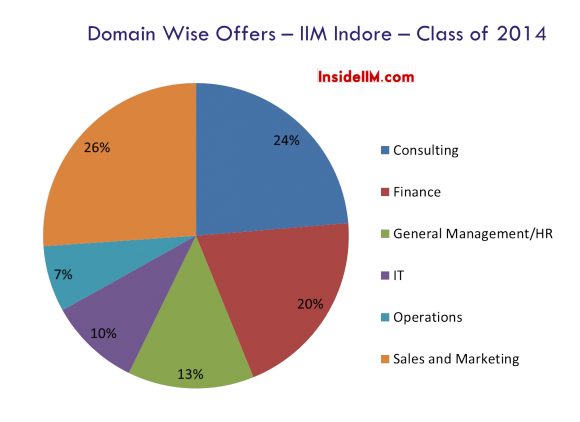 Deloitte S&O hired in big numbers at Indore this year. The wide range of names includes KPMG, Infosys Management Consulting and Cognizant Business Consulting. TAS is missing from the General Management list which had been hiring for the last 2 years. GE, Mahindra, Robert Bosch, Reliance make up a strong list of names. Google and Amazon are marquee Technology names. There is a wide variety of Retail, Consumer Products, Telecom, Auto and Media names. 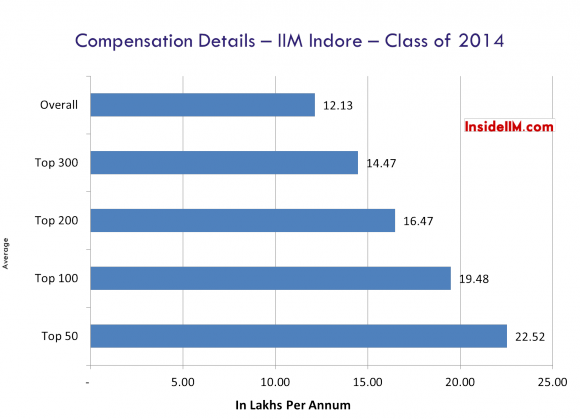 Pharma sector hiring continues to grow at IIM Indore as is the case with most other top schools. 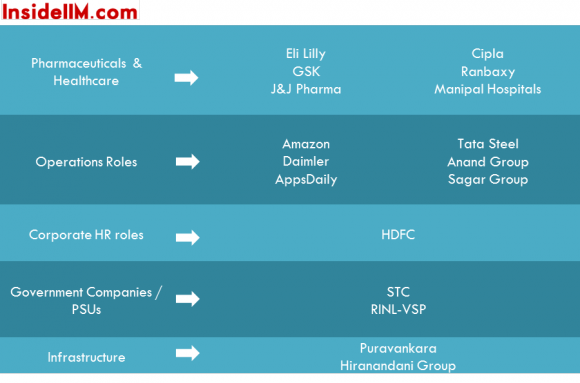 In fact, we have been debating internally at InsideIIM whether Pharma is the new IT when it comes to managerial hiring. Only 2 people have opted for Entrepreneurship as against 3 last year. 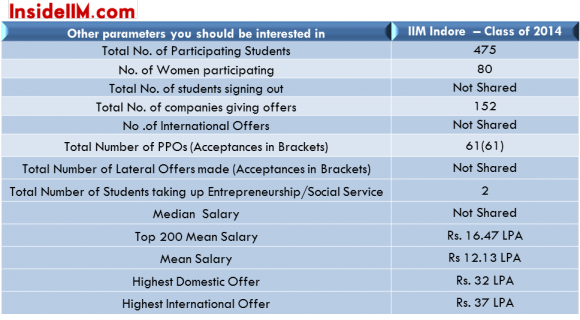 We would have preferred if IIM Indore had revealed the number of students who signed out. – The Pharmaceutical sector saw participation from first time recruiters like J&J Pharma. 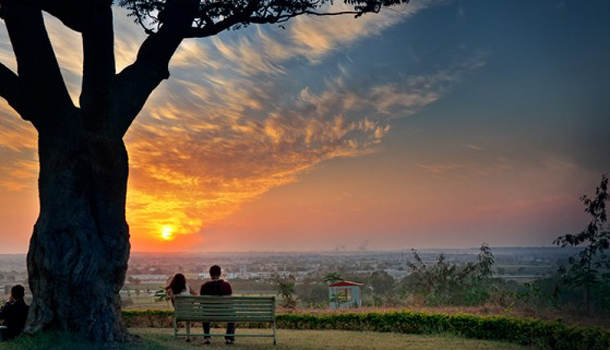 Eli Lily re-visited IIM Indore after a long time. 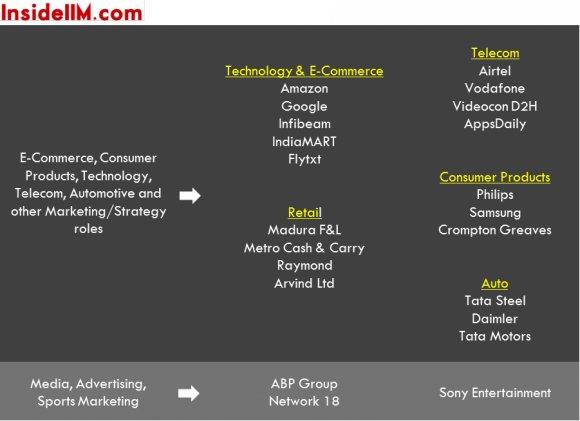 Over 90 out of the 152 companies have been mentioned in the report above. The compensation details and break-up has been provided by the placement committee. It has not been audited by any agency or by us. We have tried our best to verify all the names and the roles offered but we cannot guarantee 100% accuracy. We would like to thank the placement committee at IIM Indore for sharing the report with us. Reporting salaries like Top 200, Top 100 etc is really not fair. IIMI is no longer a 250 batch b-school, its 450+ and salary if reported should be for whole batch and not just part of it. And if we go by stats mentioned avg for last 175 (which is 37% of the batch) is 8.11 lpa.